China crisis historic opportunity: Arvind. 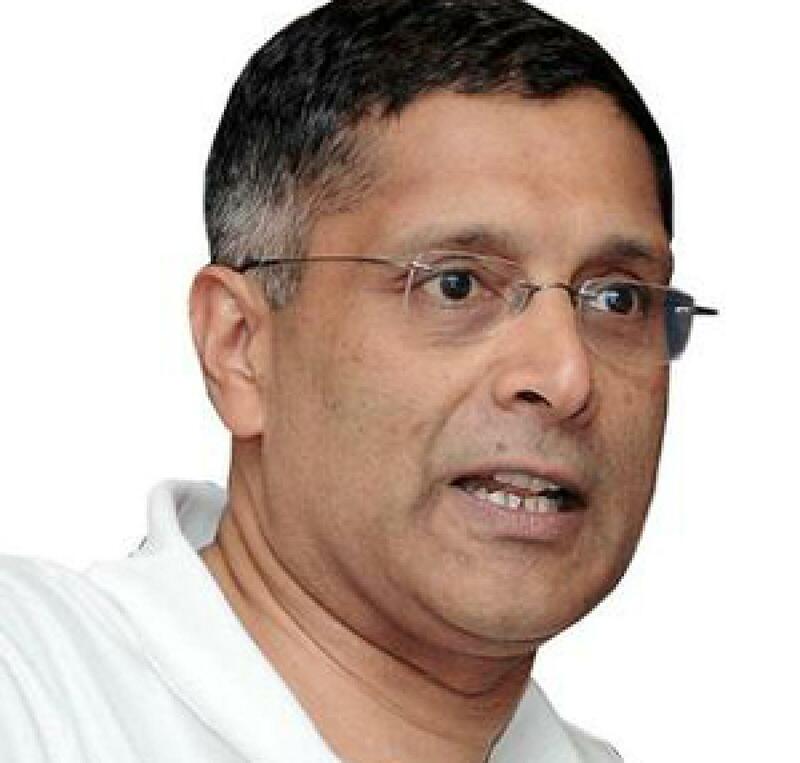 Pointing to investment from companies like Foxconn of Taiwan and Xiaomi of China, Chief Economic Adviser (CEA) Arvind Subramanian on Tuesday said the slowdown in China is a \"historic opportunity\" to relaunch growth in India. New Delhi: Pointing to investment from companies like Foxconn of Taiwan and Xiaomi of China, Chief Economic Adviser (CEA) Arvind Subramanian on Tuesday said the slowdown in China is a "historic opportunity" to relaunch growth in India. "China slowdown is a historic opportunity for India as Chinese production becomes less profitable, India could become profitable but not guaranteed," Subramanian said while delivering a talk at the Institute of Chinese Studies here. "India is a net importer, so China slowdown is an opportunity to relaunch growth in India," he said, adding that companies based in China might now view India as a hedge against the slowdown. In a move to deal with current economic weaknesses, the Chinese central bank lowered its daily reference rate by 1.9 per cent last month, rocking currency markets globally and affecting the rupee. Commodities, particularly oil that was under pressure for several months, slumped following an 8.5 per cent decline in the Shanghai Composite Index last week. China is the world's second-largest consumer of oil after the US. Speaking about the recently devalued Chinese Renminbi, the CEA said India has an unambiguous interest in supporting China's currency become the part of Special Drawing Rights basket, or the supplementary foreign exchange reserves maintained by the International Monetary Fund. "On the Renminbi, I think we have an unambiguous interest in supporting the Renminbi becoming the part of SDR basket, because essentially as the Chinese currency becomes more and more international, China will have to open up its economy which is good for the world, good for China," Subramanian said.